Description: In Logic & Critical Thinking, students learn how to use and interpret language to reason well. They study logic as the science of thinking, as something found in God’s nature, and which guides all areas of human inquiry. This course will aid students in preparation for the SAT®. Watch a short introduction from Course Developer Benjamin Guido. How much homework is in Logic & Critical Thinking? What books will I use in Logic & Critical Thinking? The official booklist for Logic & Critical Thinking is available now. In the official booklist, you will find information about the editions, book descriptions, and ISBN numbers. While there are no special prerequisites for this course, having certain skills and abilities will reduce the stress and workload of this course considerably. Logic is a mix between mathematics and reading comprehension—it uses the same skills. So, the more comfortable students are with these two subjects, the more ready they are to succeed. If students struggle with both math and reading comprehension, then they will need to be prepared to spend more time and energy working to master and apply the skills being taught. However, Logic & Critical Thinking is especially useful for students who struggle with reading comprehension or with thinking analytically, and it can do wonders for many students’ SAT® prep for this reason. Though the course is designed for students in the 10th grade level and up, the textbook is a college-level text. However, it is an especially straightforward and clear textbook, and should be very readable for most students. Additionally, a basic understanding of sentence grammar (e.g., recognition of subjects, predicates, conjunctions) will go a long way in making aspects of this course more accessible from the start, though students can usually pick up some of this along the way. This course involves very little writing, but it does involve consistent homework exercises, which are indispensable. Students with already-developed analytic skills will probably spend 5-7 hours a week, all told (including lectures and live sessions); some students may need to spend closer to 10 hours a week to do well. 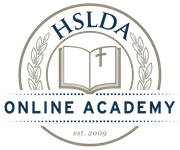 What is a Live Online Class Session in Logic & Critical Thinking? What is the tuition for Logic & Critical Thinking?